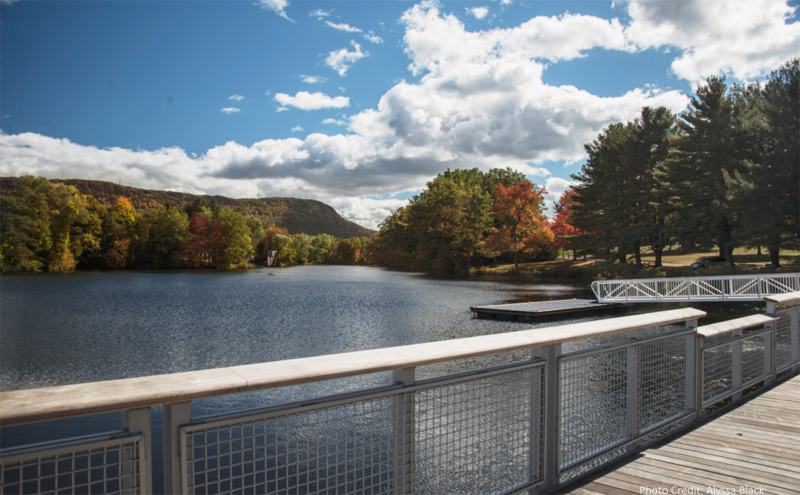 The Nashawannuck Pond Park Promenade entailed the redevelopment and creation of a new public boardwalk and public park space along the unimproved banks of the historic Nashawannuck Pond at the center of Easthampton. The site and pond are located at the epicenter of the historic mill district created in 1864, and are at the intersection of four major roadways in town. 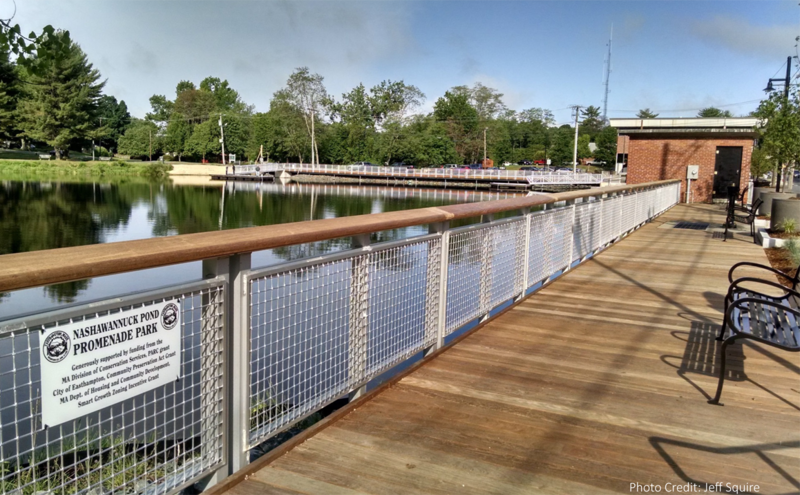 The project included approximately 550’ of new pedestrian sidewalks, an 8’ wide wood boardwalk along the banks of historic Nashawannuck Pond, 3 gangways and floating docks, a central plaza at the main street intersection, site lighting, furnishings, and plantings. Transformative to the key intersection in the industrial area of that town. The materials used were very fitting for the industrial mill character. Like the different type of spaces that were created. The jury was encouraged that the local government was looking to benefit the community. Brought the people to the water and the water to the people.